eFilmCritic - Criticwatch - Now, Do You See? Criticwatch - Now, Do You See? Our title this week is somewhat inspired by the great news that NBC has renewed Hannibal for a second season. 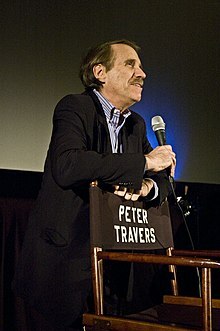 But also in that we hope to catch you up a little in what has been going on the last few weeks in the film publicity game. We are a month into the summer movie season and when the temperatures begin to climb, the quote whores shall rise. 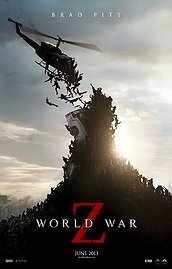 Reviews have been up and down so far (and in both extremes) and yet for some reason it is the junket press who are always first in line to tell anyone watching a commercial that THIS movie is the MUST-SEE even more than the LAST one. That being said, we're not going to say much this week. We'll just let the quotes mostly speak for themselves. In case you missed how whorish the ads for The Hangover Part III looked, we wanted to show you once again how dedicated Warner Bros. is to their junket attendees. You may add your own commentary if you like. We will move on to the other major release this weekend, the exceedingly dumb Now You See Me. Critics have not been as harsh to the film as they were After Earth. It currently sits at 44% on the Tomato scale. Can you believe that only 14 out of 51 wide releases this year have ranked over the 60% "fresh" mark? (And three of those were semi-limited releases: Mud, The Place Beyond the Pines and Spring Breakers.) I suppose if 13% if enough for Sony to get one quote for After Earth than 44% is enough to get Summit four more. Notice how Pete Hammond cleverly worked in the word "magic" to describe a film about magicians. It reminds us of those who did the same just two months ago for Warner Bros. 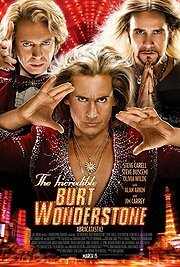 The Incredible Burt Wonderstone. Nice, guys. And thanks again to Warner Bros. Can't wait to see how you ruin the anticipation for Man of Steel as you search through your recent junket quotes for the words "flies" and "soars." Back to Now You See Me though, we must end (again) with ol' Shawn Edwards. Three-time Quote Whore of the Year (2007, 2010-11) calling it "the most exciting film of the year." Not that it's been a great year for excitement, though the consensus might tell you to consider Iron Man 3, Star Trek Into Darkness or Furious Six for that fix. Though you may want to consider what Shawn actually thought of Now You See Me. Seems like a 3-out-of-5 rating would suggest Shawn actually agrees that it's been a year bereft of true excitement and that this is the best Hollywood has had to offer. Except he already referred to Jack the Giant Slayer (for WB) as "spectacular" and "thrilling" as well as calling The Call "riveting and super intense." Does Shawn not understand the definition of the word "exciting" or what it means to rank a film above all others by the comparative scale of a rational human being, let alone one who is supposed to draw such comparisons for a living? Maybe next time you will consider how little it means when Edwards describes anything with the tag of "most." Good or bad, great or awful, no matter where the film falls on a Tomatometer, Metacritic or your own personal sense of right and wrong, Edwards will be there as the most epic quote whore working today.